In a new legal filing by the Labor Department, the federal agency claims Oracle undercut the wages of blacks, women, whites, and Asian Americans at its headquarters in Redwood Shores, California by mostly funneling those U.S. employees to entry-level jobs inside the company. Most notably in the findings is the claim that Oracle used “highly discriminatory” hiring practices that favored foreign visa workers mostly from Asia and India. In the process, black Americans and women were crowded out of the hiring market for jobs at the corporation. For example, an analysis of Oracle’s hiring practices between 2013 and 2016, found that 90 percent of the college and university graduate hires were Asian. Labor Department officials call the claimed hiring discrimination an “extreme preference” where Oracle allegedly has hiring guidelines designed to preference foreign Asian and Indian college graduates over young Americans. In total, the Labor Department states that Oracle suppressed a total of $400 million in U.S. wages to its female and minority employees. 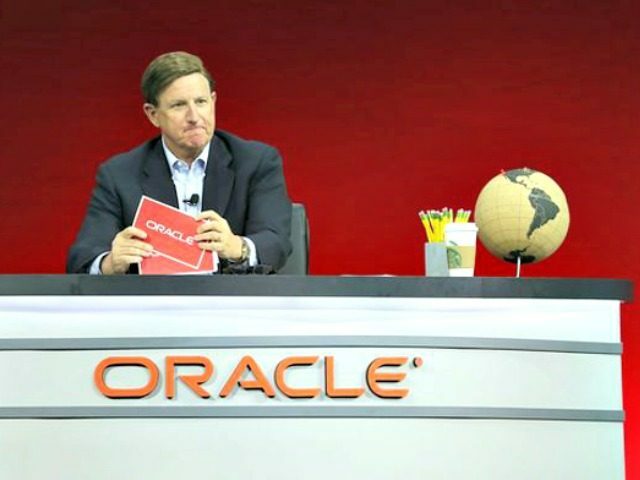 “[Oracle] impermissibly denies equal employment opportunity to non-Asian applicants for employment, strongly preferring a workforce that it can later underpay,” Labor Department officials said in a complaint. The multinational corporation, like others, seemingly relies on the annual importation of about 1.5 million foreign visa workers who are often brought to the U.S. to specifically replace Americans in their jobs. The H-1B visa, which imports foreign workers to take coveted white-collar American jobs, keeps at least 460,000 foreign workers in the U.S. at any given time, though other estimates assert that the visa program keeps 650,000 or even up to one million foreign workers in the country take U.S. jobs. This past year, Oracle attempted to outsource more than 800 American jobs to foreign workers instead of hiring American workers.